Feel a breeze sweeping through your bottom half? If you're wearing Viktor & Rolf it would be for good reason: Part of your dress is missing. Yes, gone. Finito! 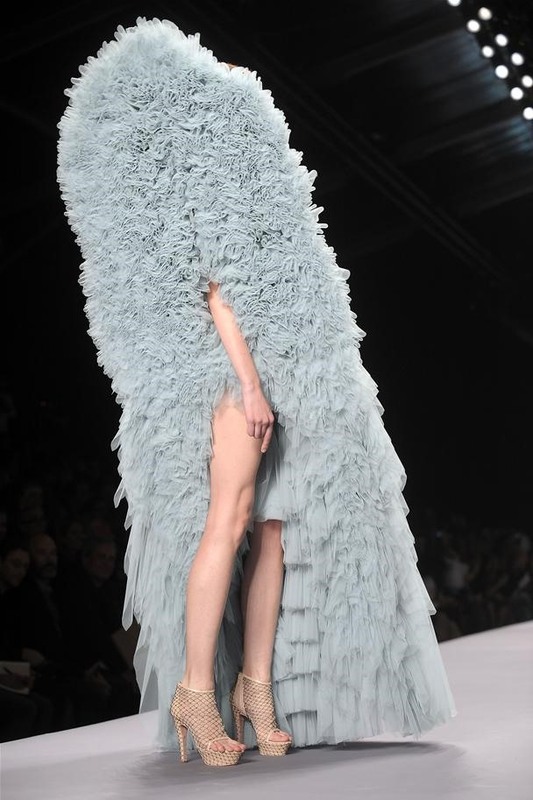 Inspired by the sinking economy, credit crunch, and "cut backs", Viktor Horsting and Rolf Snoeren (aka, Viktor & Rolf) decided to give people what they can afford... by subtracting... materials. Seemingly taking a chainsaw to their Spring 2010 ready-to-wear collection, three-dimensional, geometric and asymmetrical lines are seen throughout the sculptural set giving way to 2010's most interesting in fashion design.